These cement tile designs from designer Stu Neyland show the wonderful versatility of cement tiles to bring a contemporary lift to projects of all types. Stu's "N-Finity" tiles allow the tile to be arranged with unlimited versatility since the exit points of the colors match on all sides. Click the images below to see some "tile magic". 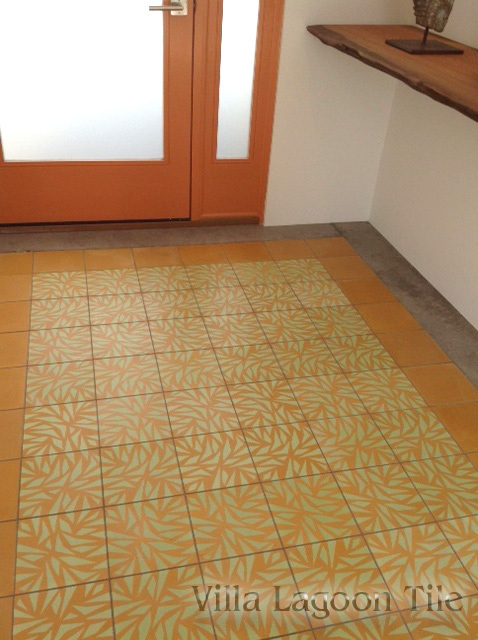 Stu Neyland's cement tile patterns are produced exlcusively by Villa Lagoon Tile. 8" Cement tile, 5/8" thick, matte finish, aprox. 3 lbs. , allow 2.3 tiles per sq ft. Custom order usual lead time is 10 to 14 weeks. This collection uses the Monterey Palette. 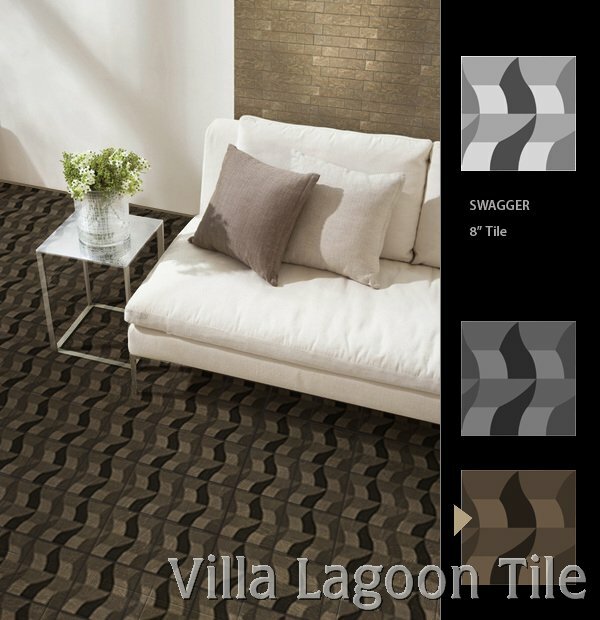 Over 60 colors available including Villa Lagoon Tile exclusives. Find Benjamin Moore and Sherwin-Williams color match charts, and photos of our color chipsets. Some of these colors are available as 8" solid-color in-stock tile.